hi to everyone!thanks again mpu!i don't know if there is a pixmania shop in greece.maybe pixmania is abroad.do you know if s853 can be connected with other devices via irda?ciao! Sad that some people do not know what they are buying. Actually the Bluetooth thing really was known long ago, just as the PC suite issue. I am hunting my 4.18 PC Suite version right now, I also ordered my phone from Pixmania, unfortunately they ran out of stock. So if someone returns the phone back, it means they are in stock again and I might be getting mine. Do NOT be afraid, people. 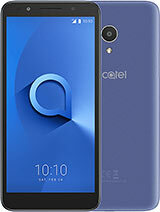 If you are going to use Alcatel 853 to connect to your Nokias or SEs via Bluetooth, do not buy it. Otherwise it is just the right phone to purchase. Do anyone have the PC-Suite? 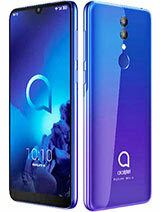 I need it, 'cause I am going to buy the phone soon. So look what you need an decide if you buy...thats the way ! I have just bought one of these and am BITTERLY dissapointed!!! Arrived this morning from Pixmania. 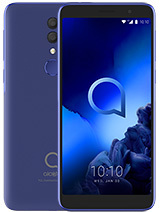 Fantastic quality phone - good materials used to build phone. Great menus. Unequalled sound quality. Brilliant user interface. Now for the reality - Bluetooth is for HEADSETS ONLY - No Comms using Bluetooth. PC Suite Software does NOT work unless you have INFRARED on your PC! Called Alcatel and they confirmed all of this. I am sending the phone back for a refund. 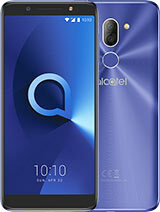 Alcatel - This COULD have been this years best phone!!!!!! I think it's the same which was used by OT-756 an that was good. Any comment on the quality of the keypad?It seems very cheap and plastic.I have OT-355 and I`m very dissapointed with the keypad. To: a guy from Greece. 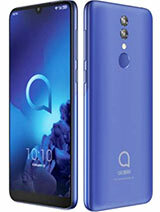 As far as I am acquainted with the posts in this forum, Bluetooth in this phone is just for communicating with an earpiece. So it does NOT send the data. The question to users: did you find a Bluetooth earpiece in the box, or it should be bought separately? Hey! Can't u send things by USBBlueTooth adapter? hello!thanks mpu!in the vodafone shops they told me that it will be in greece at 14th april.has it a good camera and video?thanks! Oh yes! That will be great if you're going to do that! Make several RAR archives, splitted into 5 MBs each and send it to people who are waiting for it. Me first, please. As I receive parts, I can send further and so we have this parcel distributed. The thing is whether this small package is reallu functional, because as far as I know, the whole package weigths as much as 400 MB. I have pc suite 4.18 and file how to install usb driver, which I managed to download from old website. The essential files only 70mb, which when further compressed by winzip to 32mb. other file is directx which can be updated through microsoft update, so it is not necessary. The problem is how to transfer this file, definitely not through yahoo mail. 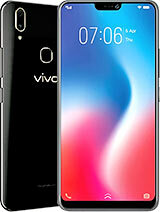 This phone was available through PIXMANIA for one day. It was available in Greece just like almost any other country in Europe. Now it's not available, though they promise it's gonna be in stock in about 8-10 days. I bought mine, yet I do not know whether I weren't late. Keep in track the Greece website of PIXMANIA and do not miss your chance next time! 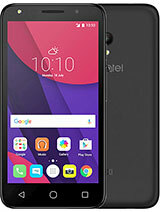 I think I'll wait that I can get this phone from PROTEL - better connections and service. hello to everyone!do you know when s853 will be released in greece?i heared that it will be here at the end of april.we will wait you in athens for the eurovision song contest 2006!thanks! I want it, its greaaaaaaaaaaat, i love it.